Israeli journalist counters claim Israel barred BDS activist because of her opinions. 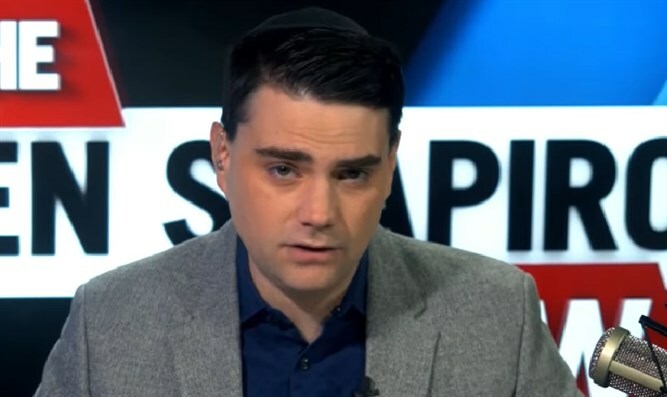 Israeli journalist Lital Shemesh, an anchorwoman for Channel 20 News in Israel, responded to a claim by American Jewish pundit Ben Shapiro that Israel had barred BDS activist Lara Alqasem from entering the country to attend Hebrew University because of her political opinions. Shemesh thanked Shapiro for his tireless advocacy on behalf of Israel, but stated that he was "misinformed" on the issue of Lara Alqasem. "The Israeli court ruled that Alqasem could not enter the country because of her actions: Actions, and not because of her opinions," she said. "There is a law in Israel that bars from entering the country anyone who undermines the country or is active in the BDS movement. Alqasem was a member in SJP (Students for Justice in Palestine), an anti-Israel and anti-Semitic organization. She was not just a member. She was the president of the University of Florida chapter."